Imagine using text to bring your church members together, stay in touch with visitors, and initiating Bible study. Jason Alexis, digital disciple, church communication director, and co-founder of Pastor's Line tells his experience with text evangelism and how it can impact your ministry. Before leaving Earth, Jesus Christ gave the command go into all the world. Today, going into all the world also means going online where more than 3 billion people are searching for answers. But who will provide the answers? Without more disciples in the online mission field, millions will lose out on the Good News. You and the team at the Center for Online Evangelism can fulfill the mission. I’m your host, Felecia Datus and this is the Digital Missions Podcast. Take a quick look at your phone. What was the last text you sent? Mine was to a co-worker, saying I would email a document as soon as possible. Now, I live in Michigan and my co-worker lives in Colorado. Through text, we’re able to stay connected and work efficiently. Text messaging has opened the doors of communication like never before. Now, what if we could use the power of text for evangelism. What if through text, souls could be won for the kingdom of God? 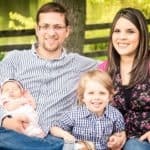 Can a church use text messaging to connect with text visitors and even start Bible studies? Today on the podcast we’re talking with someone who can show us how text can be used in digital evangelism. A former mechanical engineer, Jason Alexis is the co-founder of PastorsLine, a software that allows churches to stay connected and to propel the Gospel. Jason is also the communications director for Houston SDA Church. He relies heavily on data driven, digital marketing to help churches achieve their goals. He’s a typical family man and a digital disciple and today, we’re picking his brain about text evangelism. Jason, welcome to the program and thank you so much for joining us. How are you? Hey, Felecia, thank you so much. I am great. Thank you for having me and I’m excited to talk with you about digital...digital evangelism. I’m excited, too, and...just the the work that you are doing, but before we get into that, just give us a little bit of you. I know we touched it in the intro but a little bit more about you and where you’re from. Oh, definitely. Just again, Jason Alexis. I’m originally from Trinidad and Tobago. I attended Howard University in Washington, D.C. where I studied mechanical engineering and that’s where my journey brought me here. God has kind of called me, I believe. I started grad school for mechanical engineering but I wasn’t happy. I wasn’t happy in the undergrad. I completed it and thanked God for the privilege but I think God wanted me to do more and I actually dropped out of grad school, and here I am, several years later, doing… I own Fluid Ministry and that’s my business and those are where all the products which I’ve created for churches...that’s a little bit about me. I appreciate that and while we’re getting deeper into what you do, what would you say is or why would you say that digital evangelism is so important...utilizing digital tools and the Internet to propel the Gospel? Why do you think that’s so important? ...then we would be able to answer that. But specifically, if we get into the nuance of it, digital evangelism is just a way of using digital tools to share the Gospel with people. ...and I am also the communication director there. We have people come in online, and we have a chat form. We have people texting us to our number. We have people who are sending us messages on Facebook. They are asking questions before they come to our church and that just the reality. ... and what the last days mean and stuff like that. So for churches it’s huge, both from an outreach marketing perspective and from an inreach, or internal, making sure your systems are organized, making sure people don’t fall through the cracks. Again, it’s just evangelism using digital tools. That’s awesome and we’re going to talk a little bit more about PastorsLine which is your area but how have you seen digital changing your church or maybe bringing your church members closer together? How have you seen it at work? A lot of churches, if you go to their church and say, “Look, I have a need…”, everyone is gonna drop everything and is gonna address it. However, if you come online through a contact form or through a tweet, no one is necessarily...maybe now more than before…paying attention so three years ago, I think in 2015, someone reached out to us for Bible study, no one engaged. At that time, I was at the church. I was part of the communication team. I was more trying to teach them why digital matters. It’s a very traditional church so they weren’t taking those things too serious[ly]. In 2016, the person contacted us again and at that point in time, I did see it and I reached out to our...we have a Bible study worker and we have a kind of process. We have a person so that everybody’s like, “Send it to him”. But if he’s overloaded with requests from public evangelisms and stuff like that, he’s not going to take something that he doesn’t know. He’s going to deal with the hot things on his plate so that no one engaged with her. And in 2017, the answer was “No, I really want Bible study.” And I finally got into contact with our pastors and I said, “Look. We gotta do something.” Again, I don’t blame them. They are overloaded and also, as I mentioned, when you think online, people don’t perceive the same high need for people coming online typically than someone walking through the church. ...that God kept her through all this process, not where she able to get the Bible study, and share her testimony which is our most viral video to-date. So, Hallelujah, praise God. But that’s also...that’s my best example of why it matters. It’s real people...real people with real needs. And it just goes to show, if someone is at your church door, your house door, there should be someone there to answer and there are people knocking on our digital doors and they need someone to answer. Now, tell us a little bit more about PastorsLine. What is it? What’s the purpose? And why should churches, you know, get involved in this? Oh, definitely and PastorsLine, what it is, is a bulk text and voice messaging system for churches. Think about a virtual cell phone, cell phone on steroids. It’s cloud-based, so everyone can have access to it. You’re not linked to a physical location or a physical device but PastorsLine was really really born out of the need for our churches to communicate and engage. I have been doing this since 2012 and as I mentioned in my pre-interview, at a local church in Maryland, we saw 200 baptisms. And when we actually looked at what was happening, it wasn’t by chance. We combined public, church(?10:56) evangelism, so we had a public event with digital tools, social media, mobile app and one of the key factors we added in 2012 was text messaging. We used text messaging to internal get people organized - staff - so it helped because no one was really reading emails. No one was really responding to the messages, to the reminders, but when you send a text, the team was mobilized. We used text messaging then to get those who came to our public evangelism get them on their [our?] lists. We gave away prizes. They would opt in but it was a reminder to come out to each event, each sermon, each seminar event, and because of that, more people came which mean more people study[ied] their way through which means more people got baptized...something simple like that, right? People don’t not want to know God it’s life gets in their way. So if you can cut through that...text messaging. We used a solution then which I sold. It was a white label so a solution we resold and that’s the solution we sold churches for years but PastorsLine is an evolution of that. It’s a system we code from the ground up. Just so that I could understand...and so for instance, persons would come to, let’s say the Evangelistic Series. They would give their cell phone numbers, is that it?... and they would be put into like a catalogue and then text messages would be sent out to these individuals to remind them or to follow up with them. Is that how it works? ...well, we usually gave away things like iPads and stuff just to get the most people to opt in and it was huge. So now we have a list. In five minutes we have 300 people on one list...maybe somebody won a prize, others got other gifts...but now we have a database of people we could engage with throughout the series and text messaging really does well we because 95%...97% of people are gonna read a text message within the first 3 minutes, so it was a no-brainer. So it’s, I know, one of the main challenges that churches tend to have is that we would have a program or evangelistic series and then there’s the problem of retention, keeping those members. So you’re saying that through texting, through this digital tool, that helps churches to stay in touch with members and visitors alike. Is that it? That’s correct and it goes beyond just announcements, and that’s one of the ways we used it initially, especially as when texting was new. People were OK with it. But for seminars, for evangelistic series, how evangelists are using this, and in fact, PastorsLine is adventist-owned and one of the sponsors, or investors, is a travelling evangelist from Amazing Facts, and the way how he got introduced to PastorsLine was that he was doing a series, and in doing so he was doing everything correct. He’s very very good at engagement. He did all the mailers - which I’m not against. He did everything that needed to be done but on his off day, he was making calls. So he had 100 … so our church was a fairly large church at Houston and we are one of those who do public evangelism on a typical bigger scale. So we had over 100 guests after the first night. So he called all of those people. Out of the 100 people he called, 90% or 90 people didn’t pick up. Of the 10 who picked up, most was not engaged. In fact, they seemed bothered and at that time, I was able to introduce the text messaging platform to him and he loved it. And, in fact, at the end of the series, the...I think 90% of people who got baptised communicated through him through the PastorsLine text messaging app. So it meant that he was not only to tell them “Hey, we have...” and explain what seminar it is tonight or it we have an off night, they were able to reply to him. So it’s a local number you get to your church. If you’re in Houston, you might get a 281 number, it’s a local, 10-digit number. So it’s like a cell phone number. You can text, you can send messages in bulk, but they can reply. And he was going back and forth. He was answering their questions. He was praying for them. He was encouraging them. So that was able to allow him to scale his time and to build that relationship. And that’s what we saw. I mean, that’s so amazing how we can use these tools to propel the Gospel and draw people closer to Christ. Now, in our second episode, or in part two of this series, Jason, we’re going to explore a little bit more about how persons can use PastorsLine and other digital tools to, um, advance evangelism but just in case someone wants to reach out and find out more about PastorsLine and what you all are doing in terms of online evangelism, where can they find you? What is your website? Our website, and thank you for that, is pastorsline dot com. Pastors with an ‘s’. Pastorsline dot com. And you would find all the information you need. There’s a little chat bubble that if you need some quick questions you can kind of just pop it in there. I’m typically online and I would love… We do have a… Again, if you are already using text messaging, I always say this, and you like what you’re using, you know, continue. Kudos for you and keep doing it but if you’re interested in checking out what we offer, we do have an Adventist bonus credit so do mention that and I would definitely add… It’s a free trial so you can definitely check it out. I want churches to check it out and to see if it’s a fit for them so you can do it for 30 days. Again, thank you so much for having me and I look forward to part two. Interested? Get 500 FREE Credits! How to get this setup? 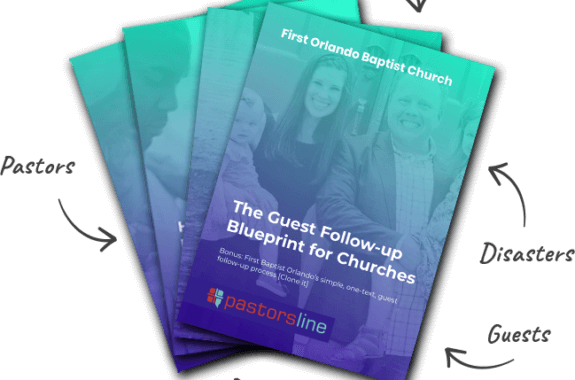 Dozens of churches are already using PastorsLine and seeing success. PastorsLine has totally changed not only my workflow, but it's taken our "personal" factor up 10x! Just with our welcome process, we have gone from a 40% READ rate to a 40% CONVERSATION rate. That's just crazy! If you sign up today, we will give you a bonus 500 credits. This invite code DCT2018. So act now. No CC required. No obligation to purchase. We will NOT automatically bill you if you are using our FREE trial. Try it, risk-free.